We’re finally into the second week of March, friends! Is it me or is this year already flying by? I think of March as the “in-between” season. It’s kinda sorta still winter, and kinda sorta maybe will feel like spring every now and then. Know what I mean? And because I’m desperately hoping that some nice weather will come around sooner, rather than later, I’m been in the mood for some springtime eats and treats. 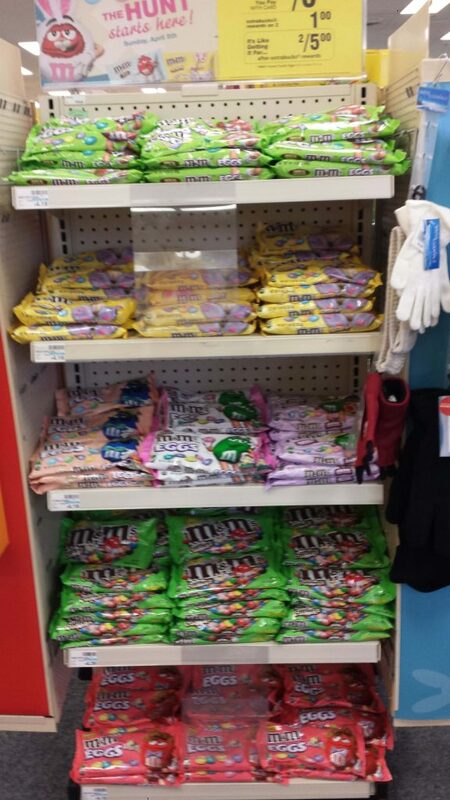 So when I stopped at CVS last week to pick up a few items, I immediately stumbled on the M&M’s display. My gaze was drawn to their latest flavor, M&M’s® Crispy! This flavor was brought back because people loved it so much, so I knew it had to be a winner. I mean, M&M’s® Crispy! Doesn’t that just sound delish? At only 180 calories per serving, I can sneak an extra handful (or two) of this candy. And after seeing the colorful green package, I just knew I had to buy it. So, I ended up with quite a few bags in hand and couldn’t wait to get home to try them out. The individual packages are great for a quick snack and the larger bags are perfect for baking! As I set the M&M’s® Crispy on my kitchen counter, the hubster immediately asked if he could sneak a few pieces. I handed him over an individual package and he fell in love with the smooth milk chocolate on the outside of the candy and crispy crunch on the inside. But before he could he could reach for the rest of the packages, I whisked him out of the kitchen so that I could whip up this Chocolate Peanut Butter Crunch Shake. 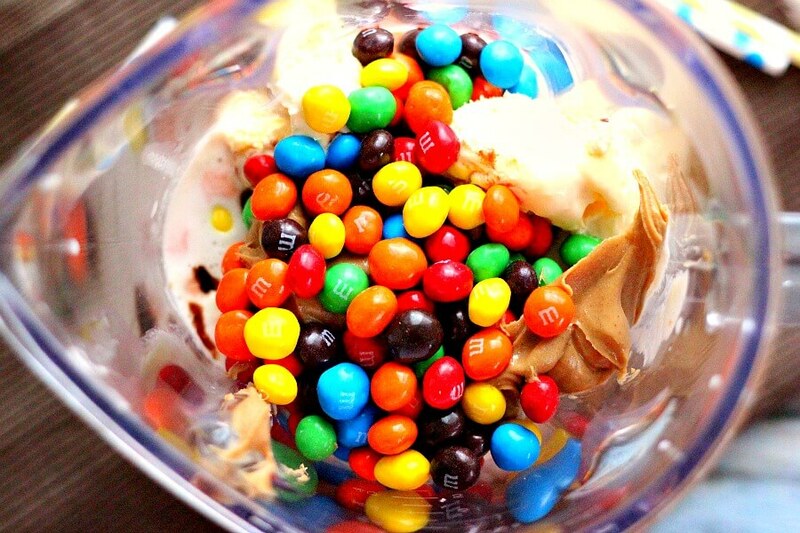 After all, what goes better with ice cream than M&M’s® Crispy? Since the hubster is practically addicted to ice cream (he eats some almost every night), I knew this Chocolate Peanut Butter Crunch Shake would hit the spot. This creamy treat is filled with vanilla ice cream, decadent chocolate syrup, peanut butter, and M&M’s® Crispy. It’s perfect for chocolate lovers and filled with a delightful crunch. And if you’re anything like me, any time is a great time to indulge in a creamy dessert! Milkshakes are one of my favorite treats to make because they’re so easy to whip up! I love experimenting with new flavor combinations, so I couldn’t wait to add in M&M’s® Crispy! After popping about a dozen pieces into my mouth, I finally set out to make this Chocolate Peanut Butter Crunch Shake. And guys, this really couldn’t get any easier to make! 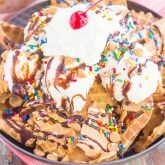 Simply serve up some generous scoops of vanilla ice cream, throw in some chocolate syrup, milk, creamy peanut butter, and lots of M&M’s® Crispy. Blend it all together and you’re just moments away from indulging in this delicious milkshake. 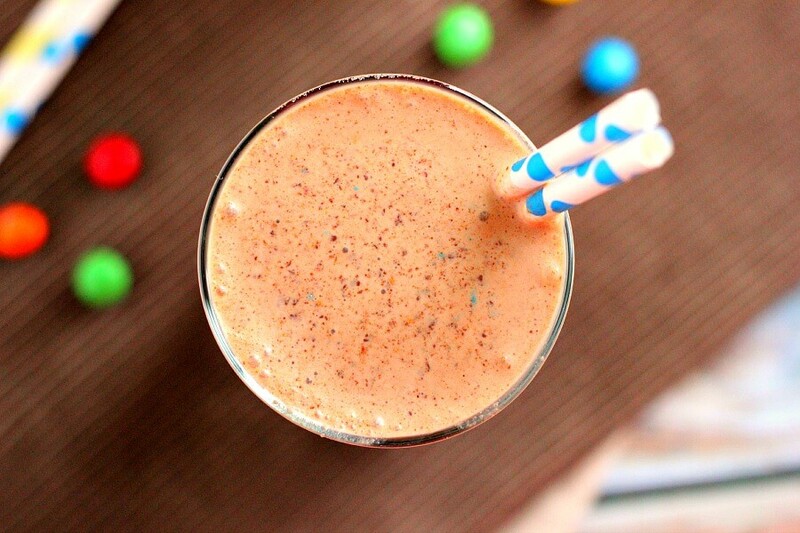 The creamy ice cream, smooth peanut butter, and crunch from the M&M’s® Crispy takes this Chocolate Peanut Butter Crunch Shake to a whole new level! One sip and you’ll be hooked! The flavors blend perfectly together, making this treat one that’s perfect for when you need an afternoon pick-me-up or just want to satisfy your sweet tooth. 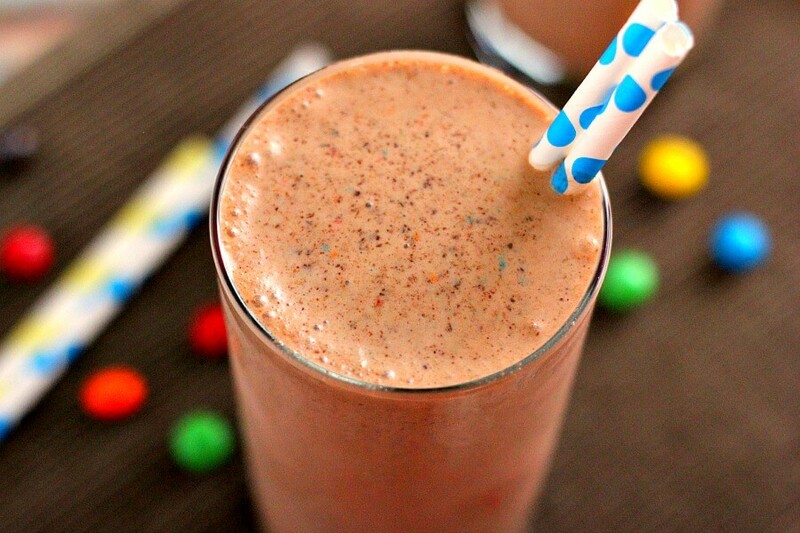 So the next time you’re in the mood for a delicious sweet treat, pick up some M&M’s® Crispy and make this Chocolate Peanut Butter Crunch Shake. Creamy, smooth, and oh-so good, it’ll be your new favorite dessert! 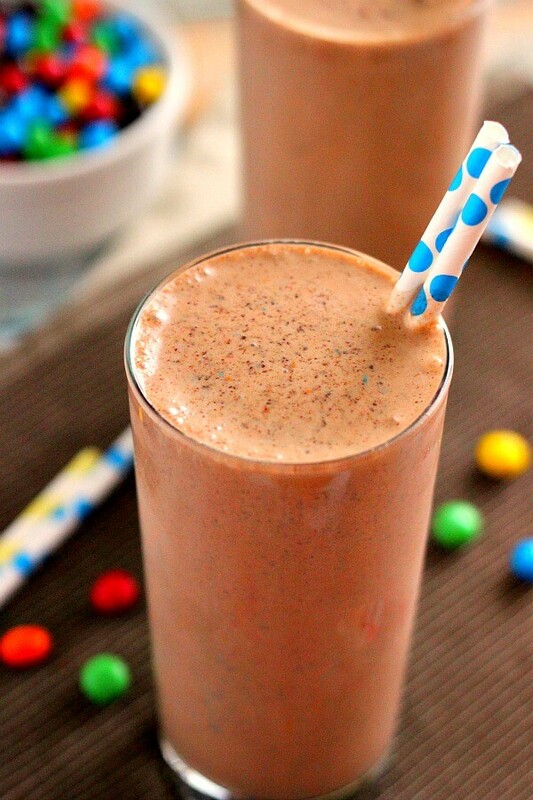 This Chocolate Peanut Butter Crunch Shake is filled with vanilla ice cream, decadent chocolate syrup, peanut butter, and M&M's® Crispy. 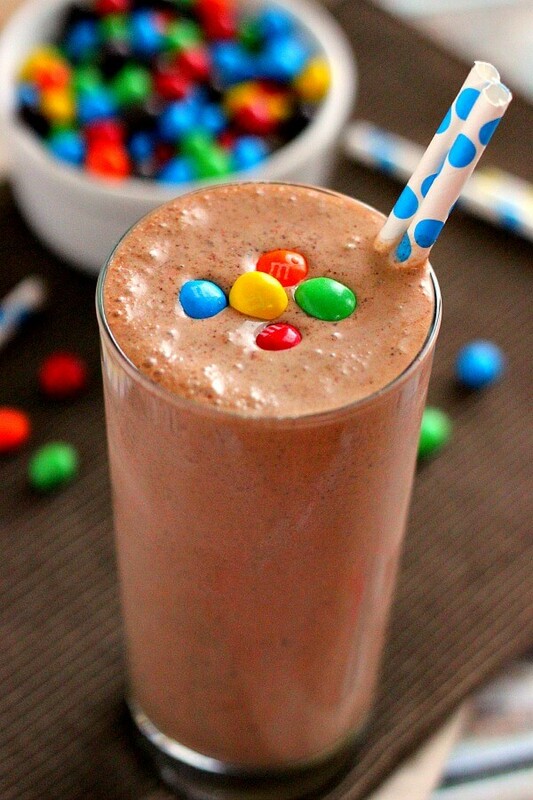 In the canister of a blender, combine the ice cream, chocolate syrup, peanut butter, milk, and M&M's® Crispy. Blend until reaches desired consistency. Pour into two tall glass and serve immediately. Like what you see? 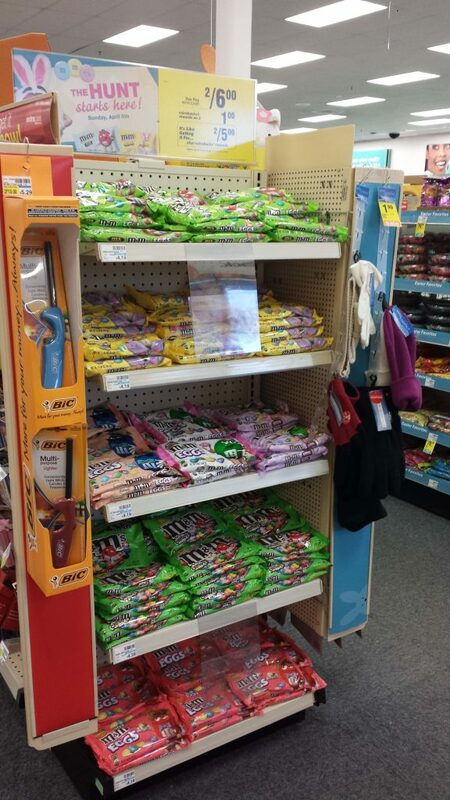 Then click here to receive a $1 off coupon for M&M’s® Crispy available at CVS Pharmacy. 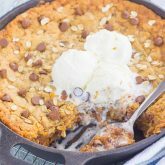 With both individual and larger packages available, you’ll be able to savor this treat for yourself or share and create recipes for the ones you love. Gayle, the chocolate peanut butter combo is always a winner and I love the little colored specks in the milkshake too! Thanks, Bri! I love the colorful addition, too. Makes this shake even better! Do NOT take pictures of the M & M display! I can't handle all the cravings that come rushing in at me! :) This shake looks awesome. You know it's right where my PB obsession can be happiest! Haha I know, right? They're SO good! Thanks for the kind words, friend! Gayle, is it acceptable to drink a milkshake at 6:30 AM? Probably not! This looks too good. I'm so happy that they brought back Crispy M&Ms. They're amazing to bake and experiment with. The photographs are color and make my mouth water! I think because it's Monday, it's definitely ok! :) Thanks so much for the kind words! Is Spring really coming Gayle? How about Easter? What a fun treat to make with my girls, they would love this and it only takes 5 minutes to make! Those are my favorite M&M's!! Thanks, Laura! These are my favorite, too! Oh, boy. I definitely could NOT be trusted around a package of those m&ms! Or this shake either for that matter....I'm seriously swooning over how smooth and creamy this looks, Gayle! And uh, the fact that there's candy in there kinda seals the deal. :D I need these! Thanks, Sarah! Candy shakes are the best! 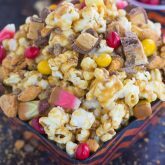 This is the perfect recipe to whip up with Crispy M&Ms! I actually didn't even realize they were gone (I'm partial to Peanut Butter! ), but now that I've been hearing about them, I'm starting to crave them! Yes! These are so good, Sues! And I'm so happy they're back! This looks so lovely and colourful... I'll try to prepare it after lunch to match this beautiful sunny day, thank you so much for sharing...! Thanks so much for the kind words and for stopping by, Lily! I hope you love this shake if you try it! Thanks, Kelly! This shake is so perfect for a Monday! oh my gawd, this is the ultimate candy lover's milkshake!!! I love it! and crispy M&M's?!!! Can't wait to try these!!! They're SO good! I'm addicted to this flavor! Yep, this looks delicious. I love the idea of a little crunch in a shake! It's the best! Thanks, Mira! MnMs in a shake?? Heck to the yes! Plus, always all things peanut butter and chocolate. This is my kind of treat Gayle, and with the warm temps we've been having, I have no excuses! Milkshakes are perfect in any weather, especially with some crispiness added in! Thanks, Mary Frances! Thanks so much for the kind words, Ceara! And I agree, chocolate and peanut butter make the best combo! Too funny Gayle, I made a shake yesterday that's going on the blog tomorrow. It must be the warmer temperatures and sunshine that's making us crave summer drinks. :) This looks great! I'm totally getting into spring mode, Linda! Can't wait to see your shake! I'm suddenly craving chocolate and peanut butter at 9 in the morning! Those crispy M&M's look so good -- I've never tried them, and I know they wouldn't be around long if I did. :) This shake looks delicious! Thanks, Marcie! I pretty much ate all of these right after I used them in the shake, they're just so good! Oh my god, this shake is like the ultimate indulgence! 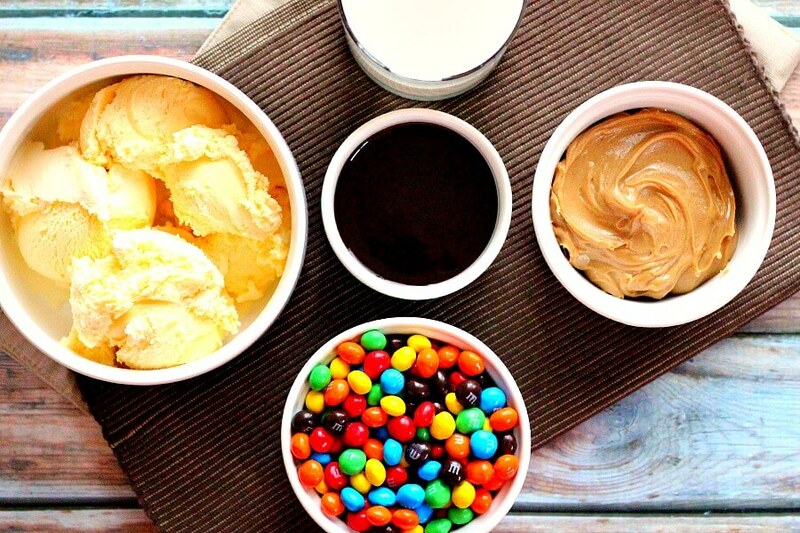 PB, M&Ms & ice cream it can't get better than that! I love those crispy M&Ms! Pinned. Thanks, Manali! They're my favorite, too! This is my heaven. I'm always 100% in to anything with chocolate and peanut butter, and I have a bag of Crispy M&Ms sitting in my cupboard waiting to be added to this shake. Yum!! Sounds like this shake is right up your alley, Rachel! The ingredients definitely make the best ice cream treat! Yay your winter is almost over!! Woot woot. I hate our summers but thats because it gets to 110 degrees. I will so be making this when the weather is hot out. This looks delicious. I love homemade milk shakes. They are the best!! ;) Pinned!! Oh wow, 110 is hot! Thanks for the kind words and pin, Cyndi! Yum!! Yes please!! This looks amazing! 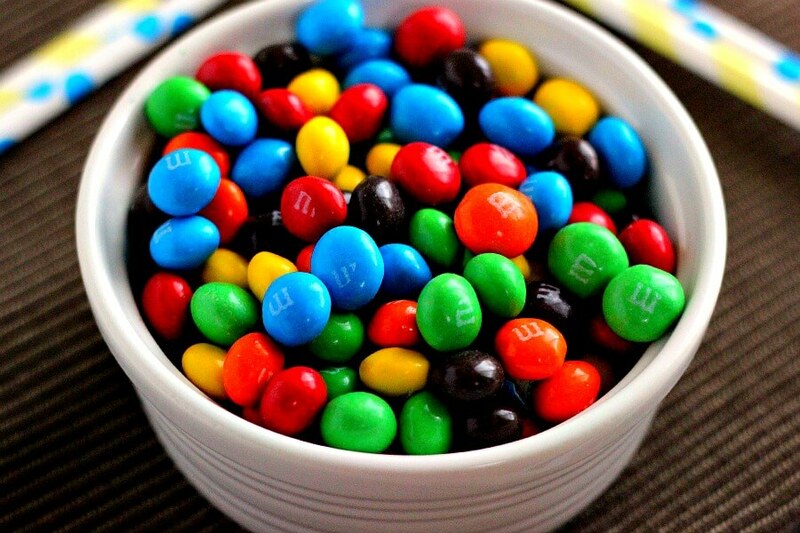 Oh I just love crispy M&M's. Have you ever had the pretzel M&M's? Those are delicious too! So smart to add them to a peanut butter milkshake. Yum! I have so many favorite flavors, it's so hard to choose from! Thanks for the kind words, Natalie! It's so exciting to see these crispy m&m's back. I have always loved them! I can't believe you put them in a shake. It's total genius. I need this in my life! I don't think I've ever had crispy M&M's before. I think it's awesome that you put them in a shake. And with peanut butter! Yum! Anything with peanut butter is a winner, right?! :) Thanks, Rachelle! 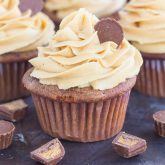 Yum, chocolate and peanut butter is really one of the best combos there is! I really need to experiment with milkshakes more, this looks so good! Thank you, Stacey! This shake is so easy to make and so delicious! These milkshakes look addicting! I can't wait to make some! It's my favorite, Shelby! Thanks! You're so creative, Gayle! What a delicious looking treat this is. I'm a huge fan of milkshakes and now with spring right around the corner, I'll be wanting them more and more! Thank you, Keri! The warmer weather will definitely be making me crave milkshakes more, too! Thanks, Medha! I think you would love them! I don't even remember the last time I had a milkshake...This is calling my name, Gayle!! Looks scrumptious! This is one indulgent treat! I'm craving chocolate right now and this would be perfect! I could go for a bag of those M&M's right about now! And maybe one of these shakes to wash them down :) Yum! It's the perfect combo! Thanks, Ashley! WHOA! Now that is one amazing shake right there. Because PEANUT BUTTER and M&Ms. Yes! My thoughts exactly! Thanks, Julie! I'll take one, please! Crispy M&M's are the best! I love how they make the shake all colorful.. Pretty! Thank you, Jess! I love the pretty colors, too! Thanks, Megan! I hope you love this if you try it! Thanks, Janet! The M&Ms and peanut butter go so well together. I hope you and your husband love this if you try it! Thanks so much for the kind words and pin, Christina! This shake looks amazing! I love how many different kinds of M&M's there are now. I haven't tried the crispy ones. Thanks, Kelsey! This would definitely be perfect for a movie night! I agree, Ashley! The weather is trying to get warmer, but isn't...so I'm all over the place, too! Thanks for the kind words, friend! I love chocolate and peanut butter! Love this shake! Pinned! Sounds like this is perfect for you, Ami! Thanks! Huge M&M fan over here! (My initials are M&M too! Coincidence? I think not!) 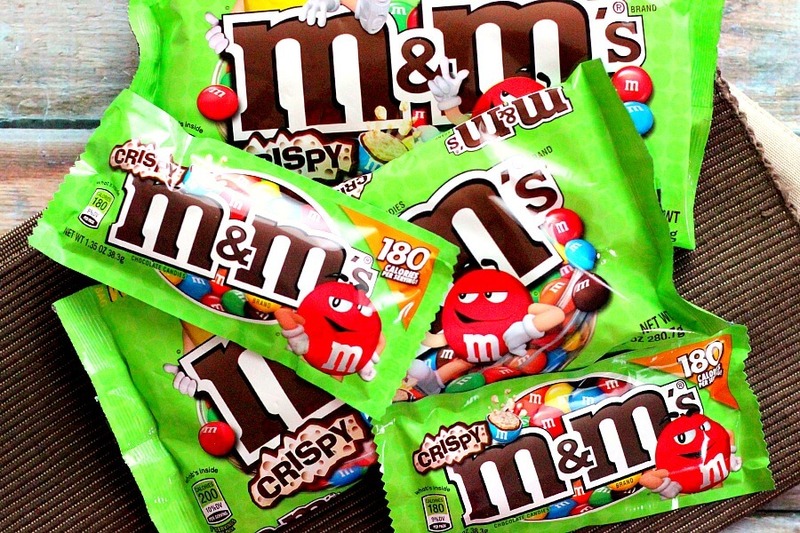 I haven't tried the M&M crispy ones yet, but they sound amazing! Thanks for the kind words and for stopping by, Matea! You have no idea how excited I am about these M&Ms. I remember them so fondly from my childhood!! Love this shake idea too! Aren't they the best? Thanks, Dorothy! I totally just went to heaven! I LOVE that you used m&m's in here YUM!